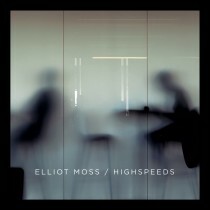 Elliot Moss is a 21-year-old multi-instrumentalist songwriter and producer from New York who has drawn comparisons to Bon Iver, Chet Faker, Washed Outand James Blake with his soulful vocals, strong songwriting and embrace of electronic, jazz and ambient sounds. 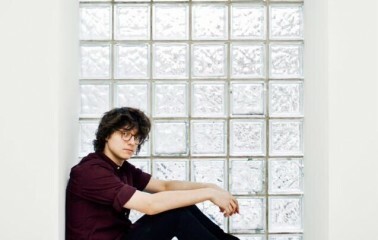 The third generation in a family of musicians and artists, Elliot releases his debut Highspeeds today digitally on Dine Alone Records in Canada. CD and vinyl will be released on May 12th. Recorded at his home studio, Moss performed, produced, and mixed the entire album with the exception of a few friends. Elliot has also just wrapped up a North American tour with Cold War Kids. Of his live performance, Houston Press said, “Moss brought a full five-piece band with him on the road, and each musician had a vast array of knobs, switches and dials to dither with. The extensive electronics were used to deploy huge sheets of dreamy bass and gentle hip-hop beats, creating an oddly animatronic backdrop for Moss’ smooth R&B vocals.” Culture Collide also caught a show and noted that Moss created “a homey atmosphere in which he and his bandmates could build an otherworldly soundscape.” Elliot Moss will appear live again at Baby’s All Right in Brooklyn, NY on April 29th and Eaux Claires Festival, taking place July 15-18.